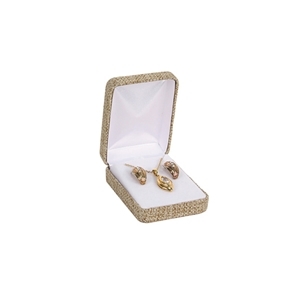 Display and package your jewelry in our Burlap-Covered Hinged Gift Boxes. This unique jewelry gift box features a natural burlap covered metal-frame box with a white velvet insert. The perfect solution for a professional presentation, showcase display, and gift box for your customers. Each burlap-Covered hinged gift box comes packed in a sturdy kraft gift box.